You are first shown the option screen, here you can select from solo play, play against the computer or two player options. There is also an option to alter the control and a frame designer. Select from these using the numbers on the balls. You can play solo, in which case the aim is to amass as many points as possible or against an opponent, which is played as first to five frames. 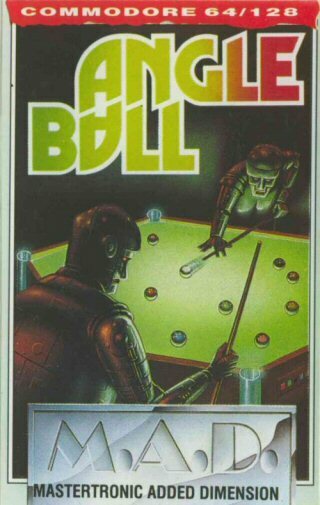 The object of the game is to clear the balls, as in pool you may clear the coloured balls in any order, but you must leave the black eight ball till last. At the start of each game you will be asked to chalk up, i.e. enter your name. Do this using the keyboard, and then press enter. If you play solo you will be offered the option of starting at frame 1, 4, 8, 12, 16 or 20.